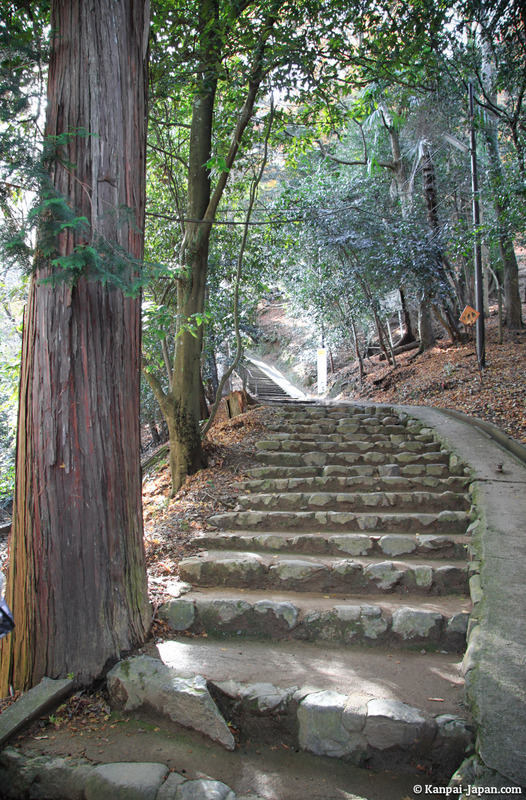 From Arashiyama, many travelers in Japan limit their visit to what lies north of Togetsukyo bridge where bus and trains stop, that is to say the bamboo forest and the shopping street. 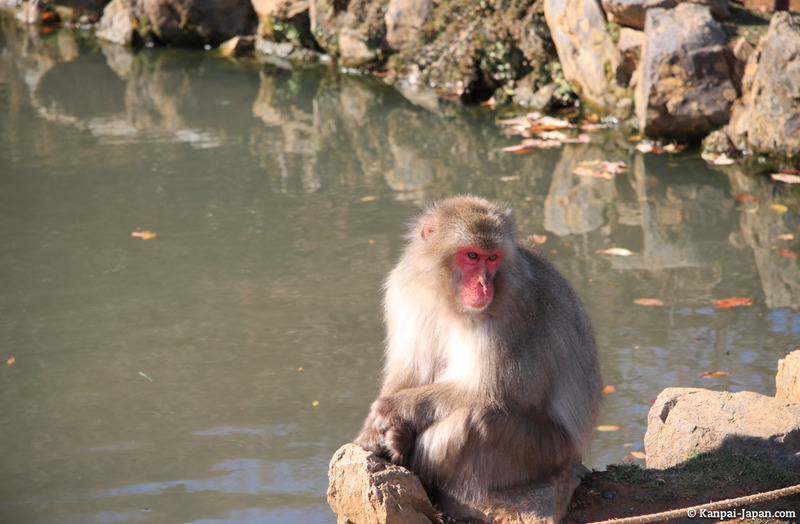 But only a few meters south of the bridge, there's an absolutely delightful natural park it would be a shame not to visit. 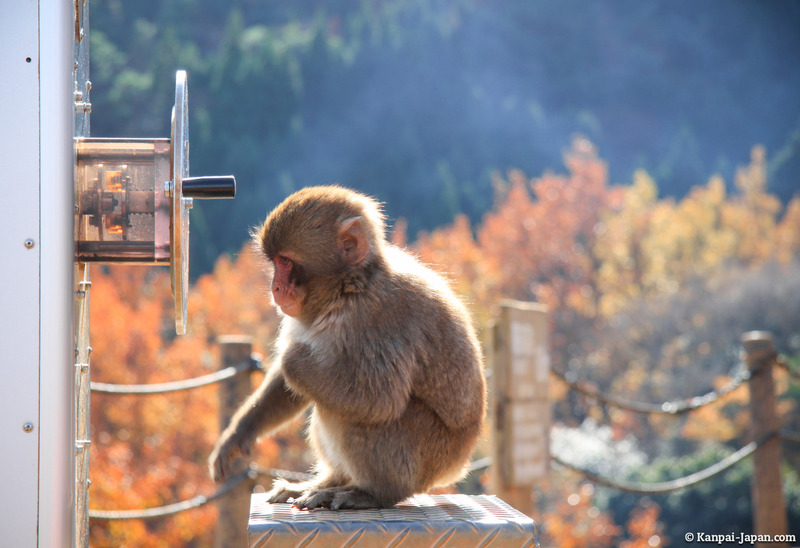 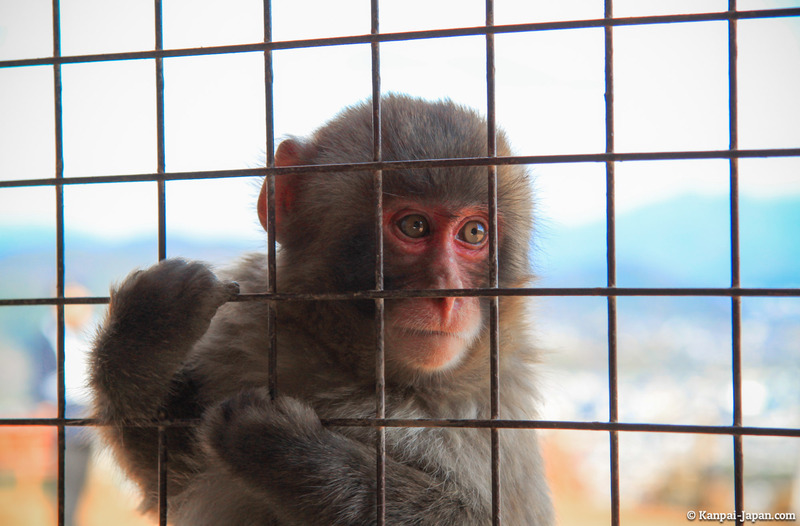 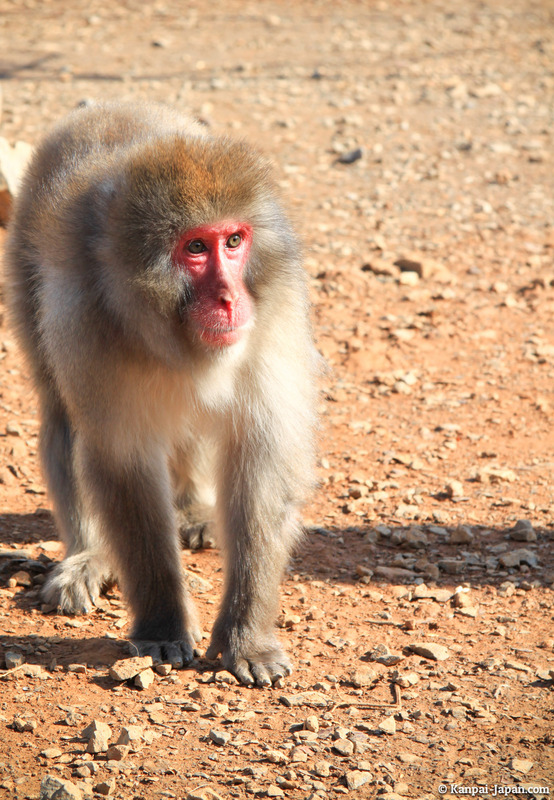 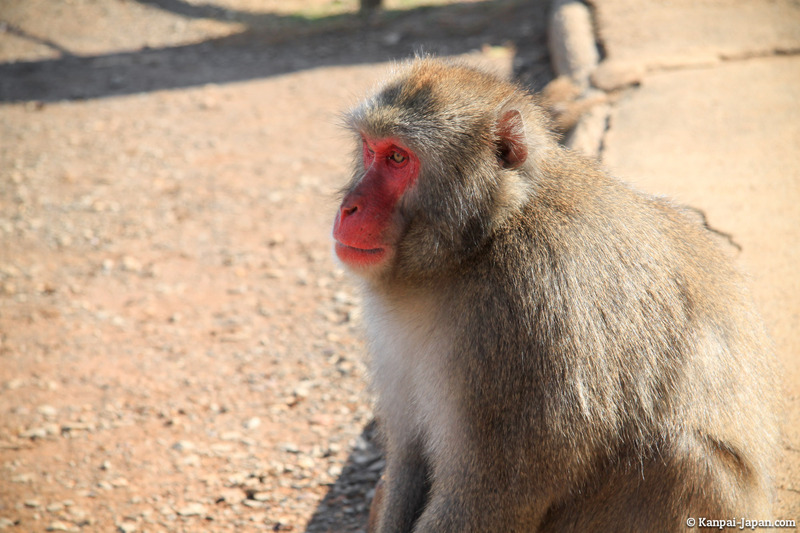 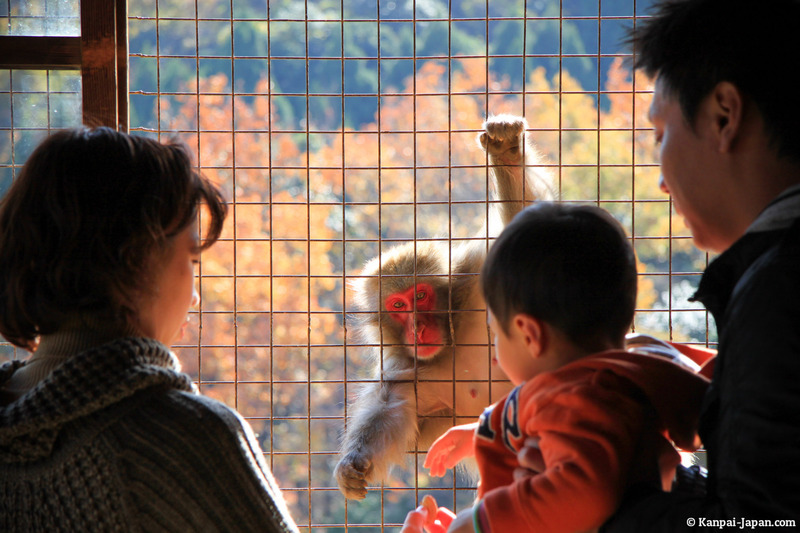 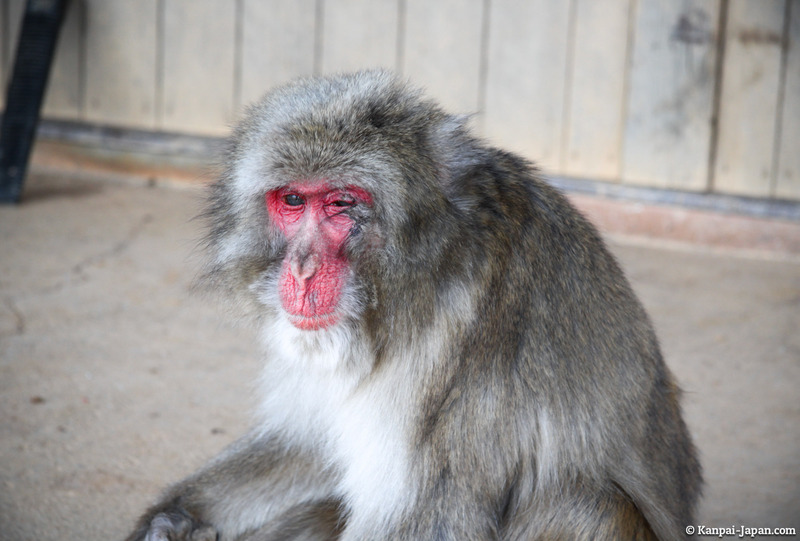 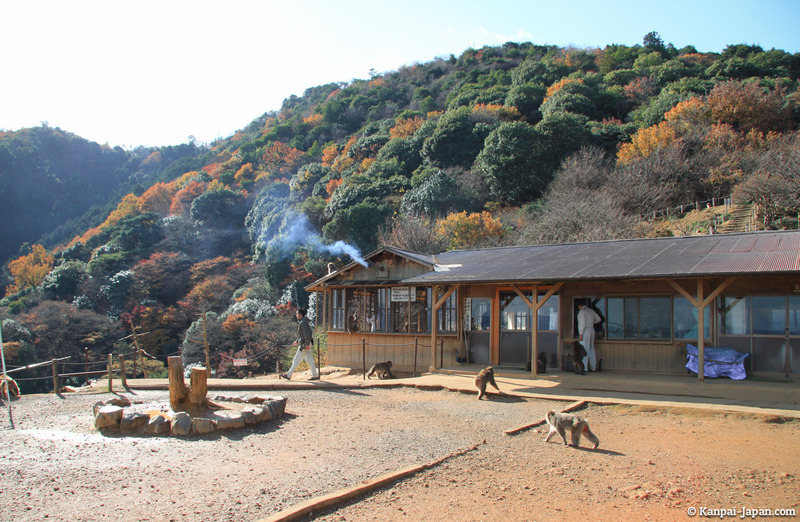 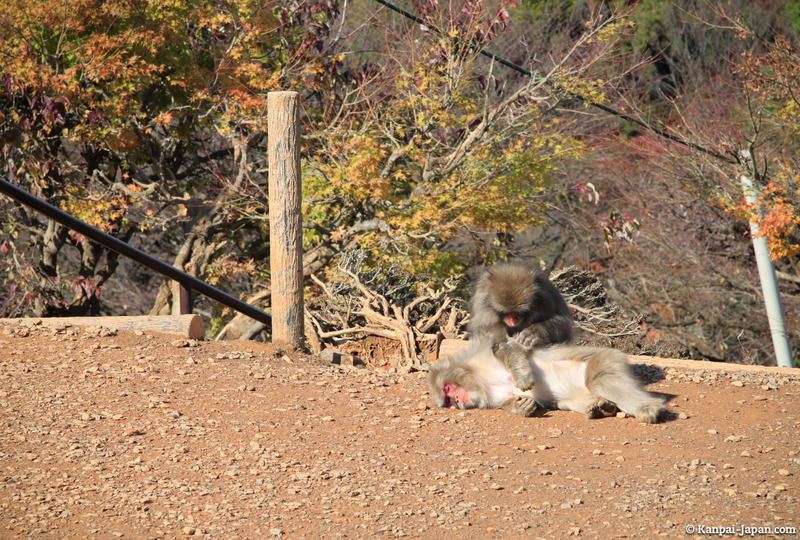 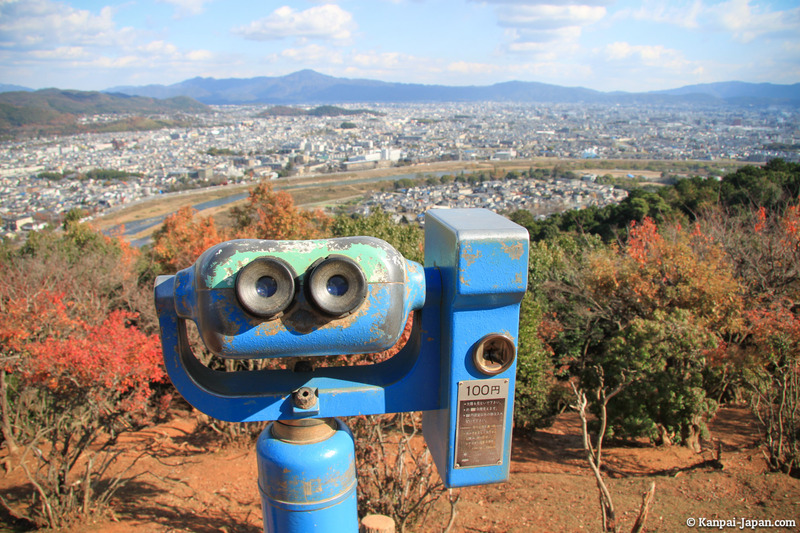 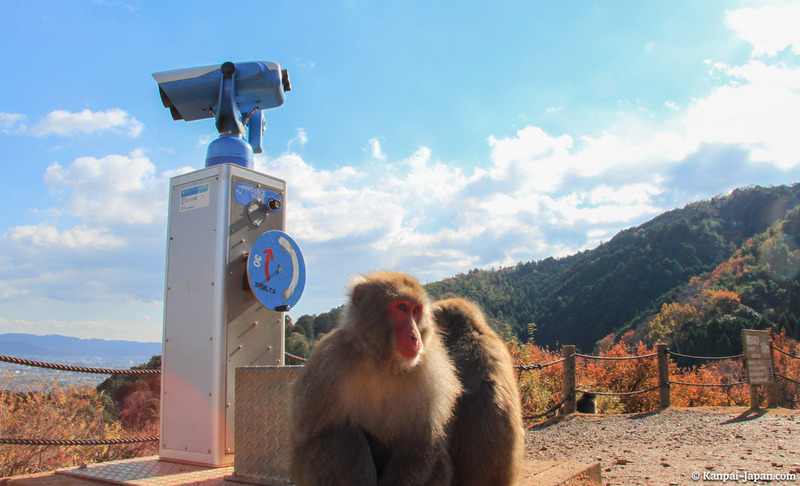 Iwatayama hosts dozens of monkeys in their natural environment. 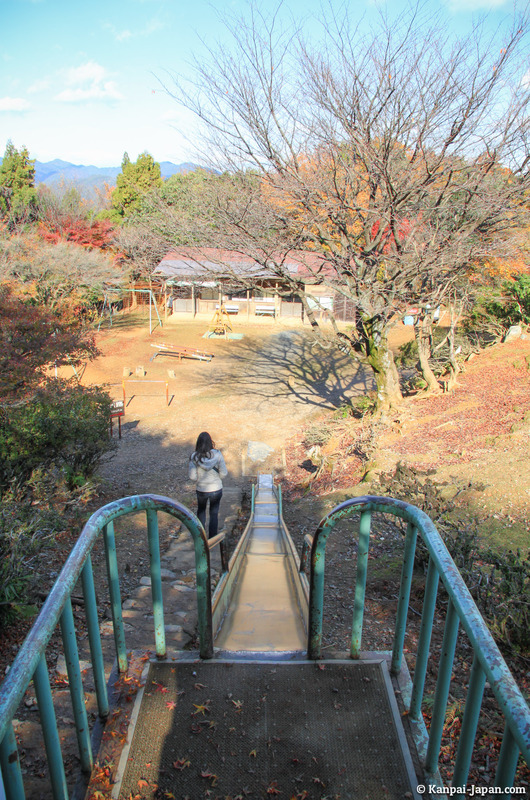 A trail takes hikers to the summit in about twenty minutes. 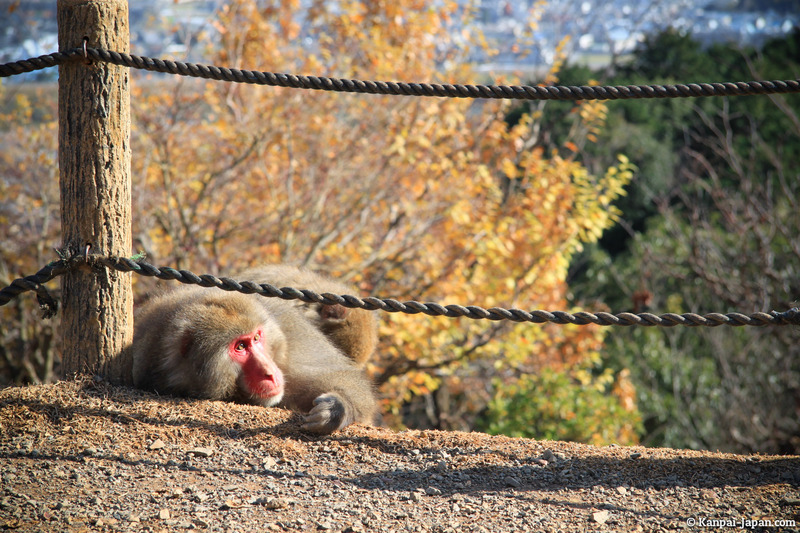 At the beginning of the climb, you must have both your eyes wide opened to see the monkeys who move stealthily in the forest. 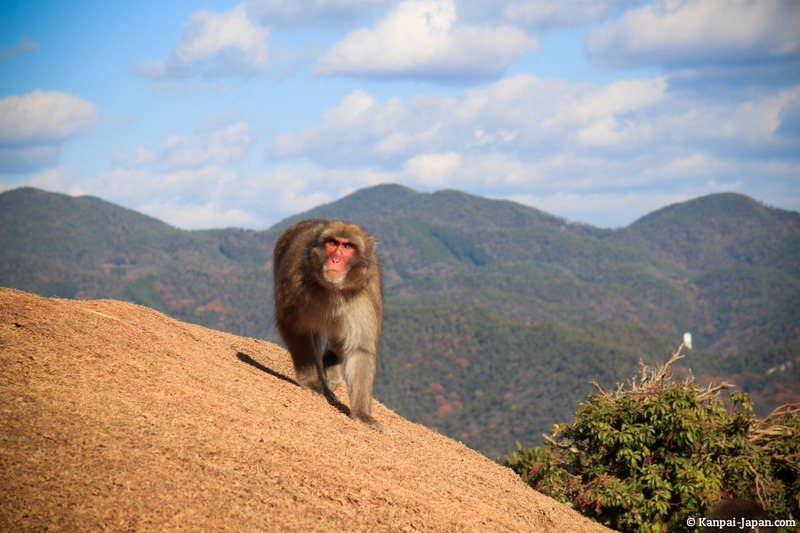 Then, approaching the summit, the animals are less shy and will accompany your walk almost like Kodamas in the movie Princess Mononoke. 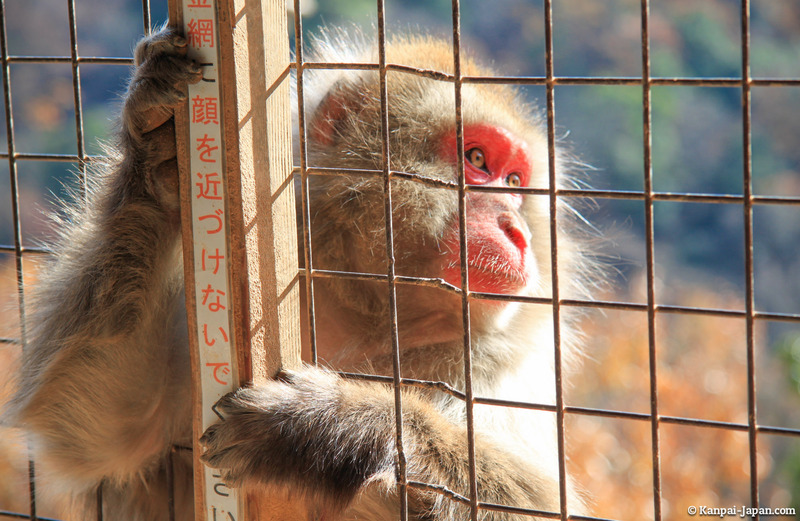 A piece of advice: it's forbidden to disturb the monkeys (like in Neko cafes) and you should even not look them directly in the eyes! 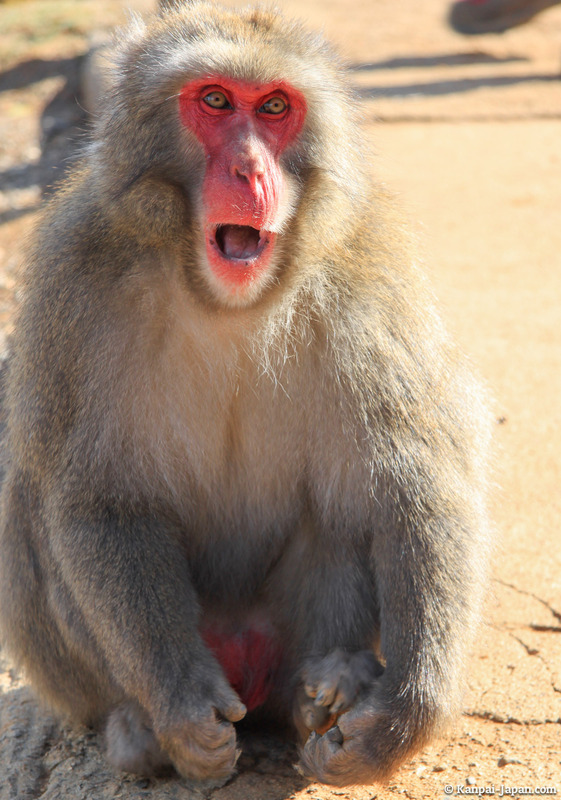 Rest assured: if you remain calm, it's very likely you'll be able to approach very closely to take pictures. 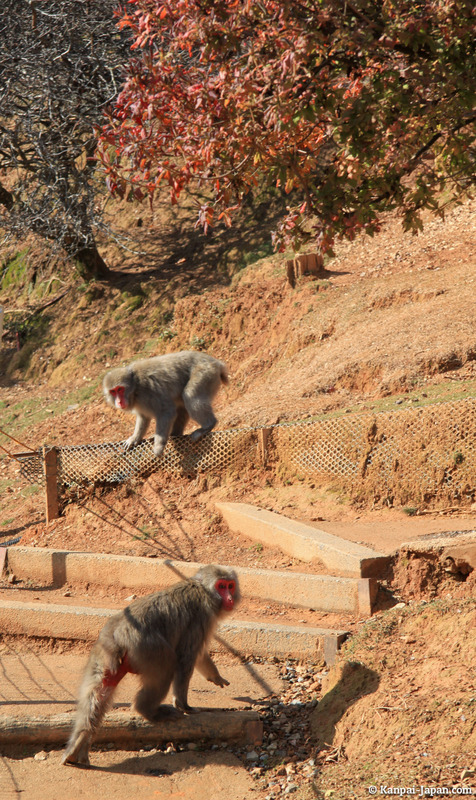 Arriving on the platform, there's a large space where monkeys can play or relax, from the youngest to the oldest ones. 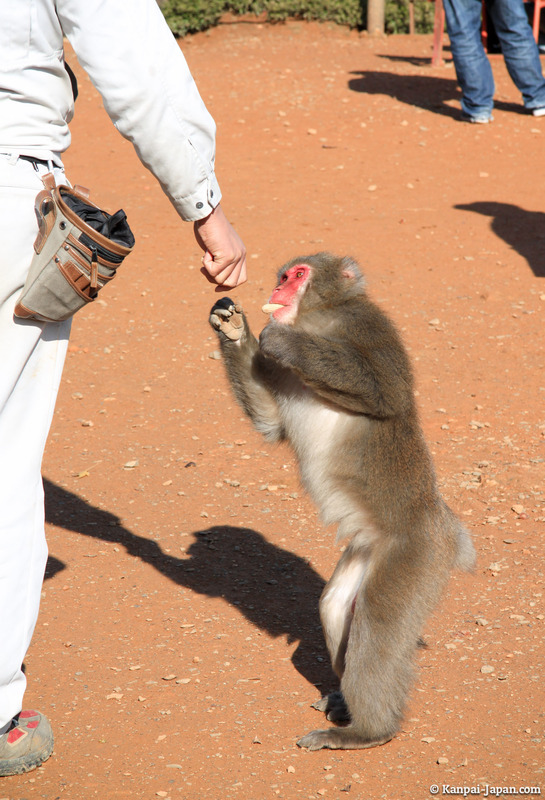 Upon entering the house, it's possible to buy a bag of peanuts or apples in quarters (100¥) to feed them. 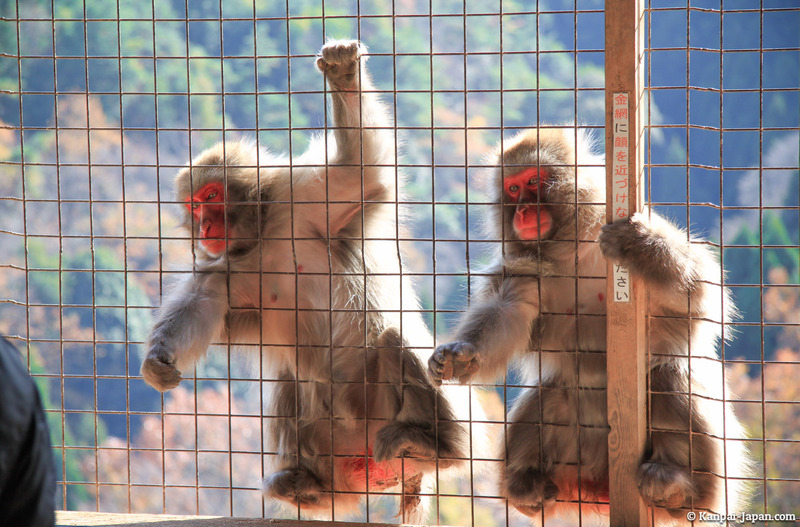 Japanese children were delighted to do so, but also very surprised at the amazing agility of monkeys, acrobats between poles and fences. 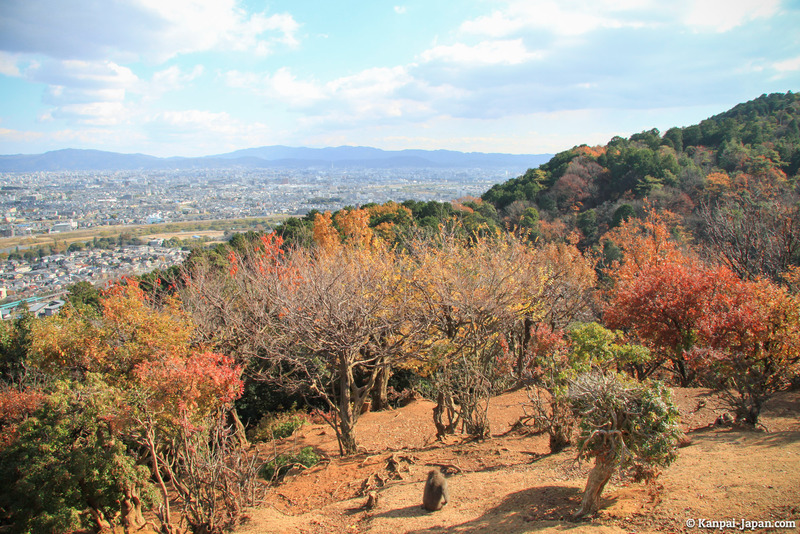 Iwatayama is a very nice visit that I recommend to travelers to Kyoto, for example within a day dedicated to Arashiyama / Sagano.